Along with my love of canals, I also love collecting old postcards and photos. 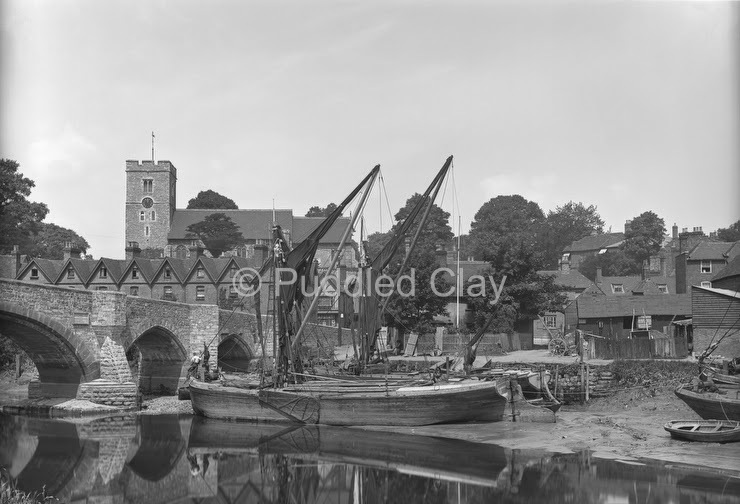 I've never been anywhere near the River Medway, but I came across a magnificent largish vintage glass plate negative by an unknown photographer. It was a bit of a struggle as I had to scan it in two parts, and then several hours of retouching small spots and scratches, but I think it was well worth the effort. The image is of Aylesford village and bridge near Maidstone, Kent, with two Thames sailing barges resting on the mud. It's very detailed as you can see the rigging and pulleys, the name of the nearest barge which is "Onward", the time on the church clock - five past twelve, and even a Fry's chocolate advert in a shop window. There are a couple of empty horse carts on the right hand side, two men sitting under a tree and one working on the boat. 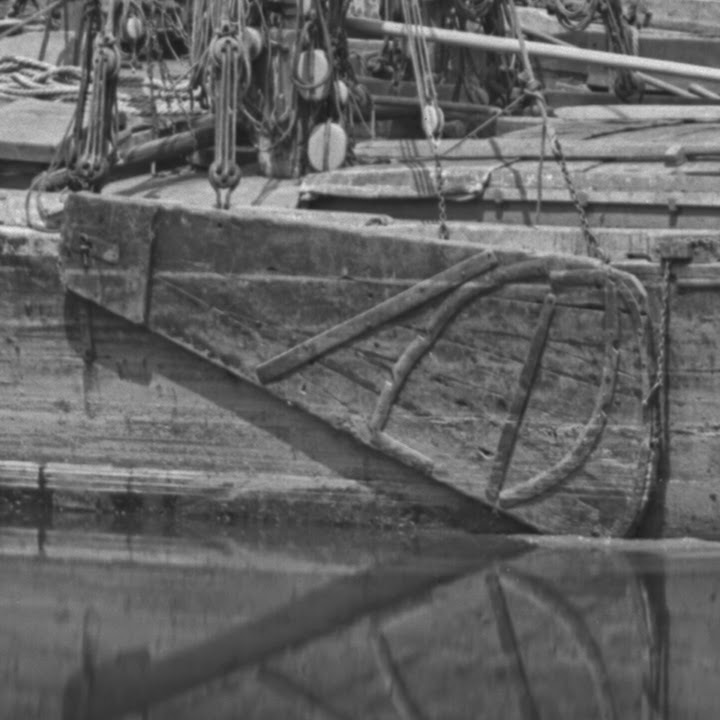 Researching, I've found details of three similar barges called Onward, built between 1867 - 1874, unfortunately I don't know which one it might be, or indeed if it is one entirely different. The earlier two were built in Rochester and Frindsbury, so I think it's quite likely to be one of those. 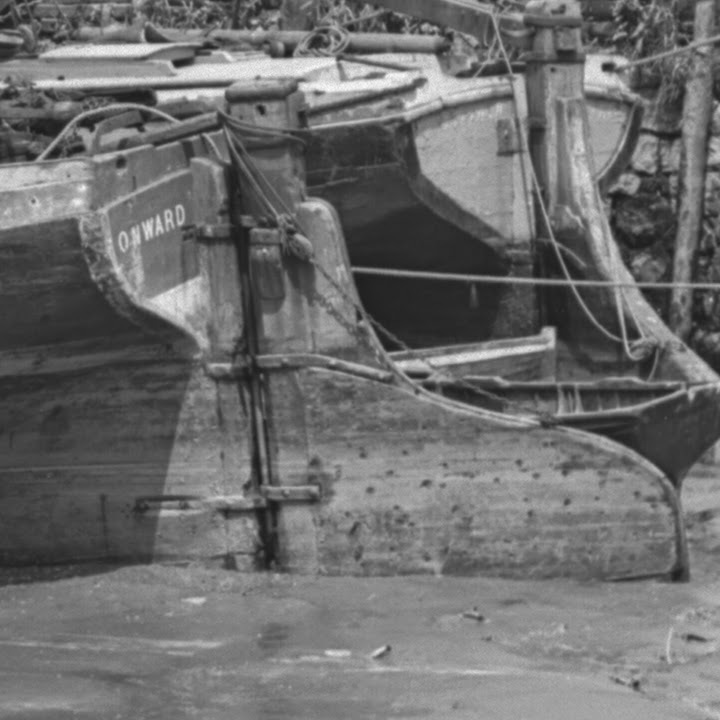 I only just found out recently that the paddle-shaped bits on the side of the barge are called leeboards, used as stabilisers. They're more common on Dutch barges such as Tjalks - the sort of boat I want to live on one day! These barges are also called spritsails - the main sail is attached to both the main mast and the angled "sprit" or spar. Wiki link that explains. This is quite a common view of Aylesford, but possibly the best example that I've seen. I believe it was taken sometime around 1900 judging by the height of the trees and the fact that the bridge doesn't yet have the strengthening ties seen in later photos. This reproduction is available on a wide range of gifts which would be ideal for sailing barge or social history enthusiasts, from keyrings and postcards to a 36" stretched canvas. See the complete range here.